Are You Looking for places to Buy a Car with bad credit? Most of us simply can’t imagine having to live without access to our personal vehicles. On a day to day basis, we use them to perform even the most basic of tasks, and both our professional and personal lives quickly become significantly inconvenienced and inhibited as soon as we start to experience problems with the functionality and reliability of our vehicles. As a result, it’s important for those investing in a new car to ensure that they get a top-quality vehicle that is well suited to their needs, regardless of their credit situation. How you might ask? You’ll need to find places to buy a car with bad credit. 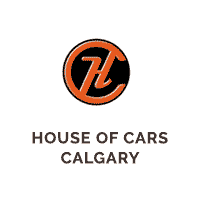 If you happen to be one of the many people currently searching for a new vehicle but lacking the initial savings or the credit-rating required to access the funds you need, House of Cars is able to help you. Car dealerships like House of Cars which specialize in helping people with poor credit-ratings to access the financing they require, do exist – and with our help, you can be confident that you won’t have to worry about putting off your purchase until a later date (and in the meantime having to content yourself with continuing to use your old or unreliable vehicle, or no vehicle at all). There are many people who are not in the best position to access financing. Some people have had a difficult financial history and may have filed for bankruptcy in the past. Others may be a student, or self-employed, or lacking the ability to demonstrate a definite and significant monthly income. Sometimes, the reason is just that a person has only recently arrived in Canada, meaning that they don’t have any Canadian financial history to base a credit score on. Many people with bad credit falsely presume that getting the funds they need to buy a car has to be a difficult process, but in fact, nothing could be further from the truth. Regardless of what you may have previously heard or assumed, the reality is that there are plenty of financing options available for people in your situation – the most important thing is getting the professional help you need to ensure that you make an informed decision. Here at House of Cars, we don’t just have a professional Financial Department who are committed to helping our customers find out everything they need to know about their various financing options. We also have a renowned Credit Rebuilding Program which is specifically designed to make it easy for people to build (or rebuild) a strong credit score by managing and paying off an auto loan on time. So once you’ve found the right financing option and started paying back what you owe in manageable installments, not only will you have swift access to the car that you want, but you’ll be building up and improving your credit score for the future! As a result, we’re widely considered to be the very best place to buy a car with bad credit in the Calgary, Airdrie, Medicine Hat region, and really all of Alberta. Visit one of our sites or get in touch by phone or email today to learn more.